BAGLUNG, June 6: Long time ago, popular singer Janakavi Keshari Dharma Raj Thapa sang a song titled ‘Baglung ko bazaar, pandhernilai dukha hajar’ which means Baglung bazar, where women faces hardships fetching water. The song spills in depth the difficulties faced by pandherni (women assigned to fetch water) in Baglung Bazaar. As the song title gives away, Thapa sang this song after observing water scarcity woes faced by Baglung locals during his first visit to the place. Although the late singer sang the song many years ago, the situation described in the song is still relevant with the current ground reality. Rapid urbanization and increasing population is adding to the water crisis. At present, locals of main bazaar of Baglung hardly get even an hour of water. According to Municipal Drinking Water Consumer Committee, which is responsible for distributing drinking water in the bazaar area, they have not been able to supply even one-third of the demand at present. There is, however, room to be optimistic. 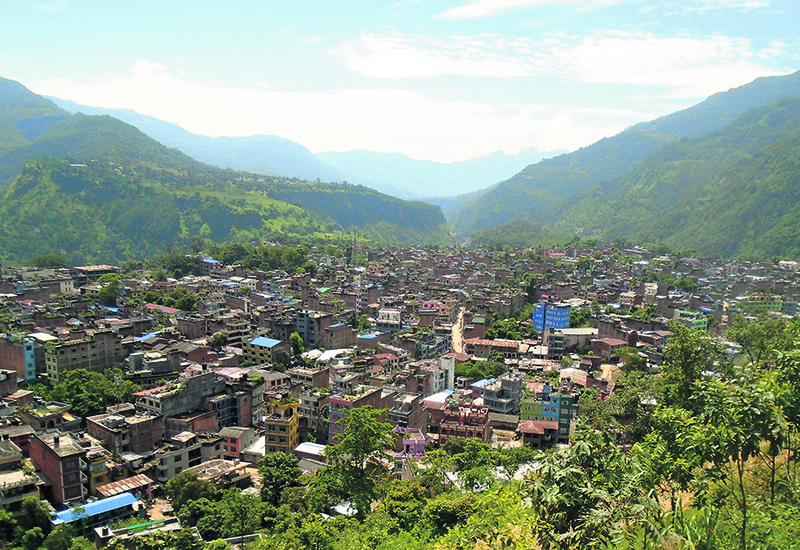 Residents of Baglung Bazaar may finally see solution of their water crisis. Lift Drinking Water Project is launched in the district with an objective to get rid of the ongoing water crisis. The project is constructed with an investment of Rs 450.3 million under joint investment module between the government and local community, informed Drinking Water and Sanitation Division Office, Baglung. The government would support 70 percent of the expenses while the local community has to bear the remaining 30 percent of the cost. It means the government would support Rs 316 million while the local community would have to manage Rs 135 million. The cost on the part of the residents would be supported by the Municipal Drinking Water Consumer Committee. The project is currently in the initial phase. According to Shekhar Chandra KC, chief of the divisional office, tender process for the project has already started. “The project would complete within two years. Denizens of Baglung then would no longer have to deal with water scarcity,” he said. According to Himal Sharma, Managing Director of the drinking water consumer committee, they are preparing to manage the funds through loans and internal source rather than collecting it from the locals. "Had we been able to bring water from Dudiya River, the water woes would not have been this bad. As we could not complete that project, we would not raise money for the new project from the locals,” he said. Sharma added that they would manage five percent of the funds internally while the remaining 25 percent on their part would be taken as loan from Municipal Development Fund. According to Hari Prasad Shrestha, chairman of the consumer committee, the project would solve the water woes faced by Baglung residents for the next 50 years. 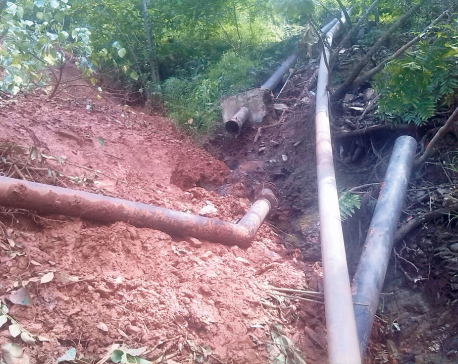 The consumer committee office informed that they are currently supplying water to around 50,000 households in the area. “Even if the population doubles, the upcoming project would still be able to fulfill the demand,” claimed Chairman Shrestha. The joint public-private partnership project would be based on lifting mechanism. Water from Kathekhola River would be stored in Kailam Pokhari of Banepa-3. “The water collected in Kailam Pokhari would then be pumped in Ratmata. The water will be going through filtering process on its way. Consumers would be able to directly consume water from tap,” informed Shrestha. Drinking Water and Sanitation Division Office Chief, KC said that the project will pump 70 liter of filtered water per second. “Around 1,000 new taps will be installed in the bazaar area to increase the efficiency of the water distribution system. When the project completes, consumer would have access to drinking water round the clock,” he added. In order to collect the lifted water, a tank with 500,000 liters capacity in Ratmata of Banepa-4 and another one with a capacity of 200,000 liters in Suldada will be constructed, KC informed. After the divisional office completes the project in its leadership, the project would be handed to the consumer committee that is tasked with effective distribution. Locals have expressed high expectations from the project. The expectation was heightened as the division’s chairman KC is also a local of Baglung. As the new project would also include additional consumers, around three kilometers of drinking water pipes would be installed in the Bazaar area. Consumers of Baglung Municipality ward 1, 2, 3 and 4 will benefit from the project.